presents the neopostdadasurrealpunkshow with KP Flügel on Radio FSK, Hamburg, Coloradio Dresden and occasionally Radio Helsinki, Graz. She is also active as a journalist for various alternative newspapers and magazines. Together with KP Flügel, Reznikoff is the co-author of BOMB IT, MISS.TIC! 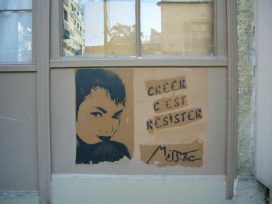 Mit der Graffiti-Künstlerin in Paris (Edition Nautilus, 2011). Reznikoff and Flügel are also co-authors together with Andreas Blechschmidt of Free Oz! 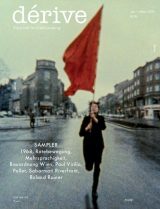 Streetart zwischen Revolte, Repression und Kommerz (Assoziation A, forthcoming).